Managing a property, whether it is your own or one that is part of a real estate portfolio, can take a lot more work than many people tend to realize, especially when you are trying to work within a budget. There is general upkeep to consider as well as the cost of running the home. However, if you are someone who owns property then you will know that these things can be dealt with thanks to some organization and preparation. 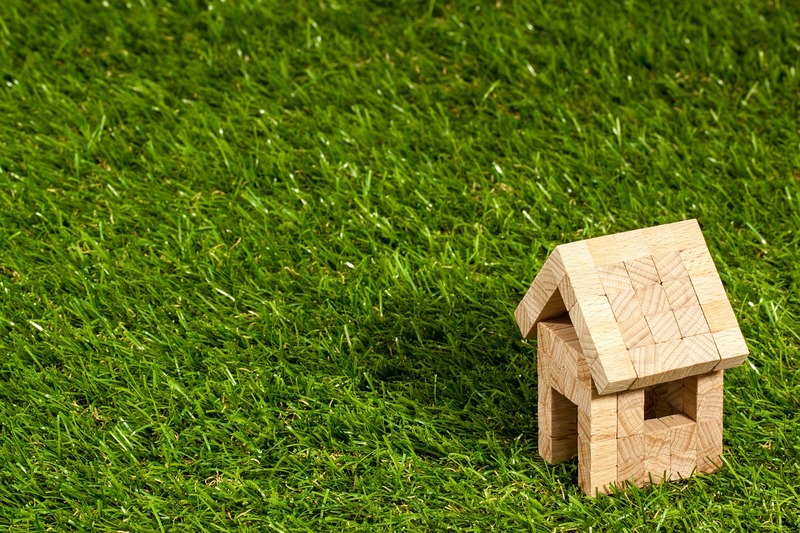 Here we are going to take a look at some of the ways you can look after your house from maintaining to growing, while not spending too much. One major part of looking after any home is keeping it looking nice and the most common way of doing this is by regularly decorating. So let’s take a look at some the things you might want to consider to look after your home not just for the state of the property, but also to make it pleasant to live in. When it comes to decorating, you are best of starting with the largest surface area of your property – the walls. Before you start any painting or wallpapering, you should ensure that you fill in any cracks in the walls with sealant and sand them down. You might even want to give your walls a wash with sugar water as well to make sure they are fully prepped for the next steps. When it comes to decorating your walls you should start with a clear plan for the rooms you are going to be working one. An idea for you to consider is using color psychology to make the rooms suit their requirements. What this means is that you should use research that has been done into the effect different colors have on us. For example areas of your property that are used for relaxation like the living room or bedroom should be painted using blues because it promotes a sense of calmness. Whereas home offices should be decorated with bolder colors like red to encourage creativity. After focusing initially on your largest surface area, the next step is to look at its closest rival and that is the floor. Your options, once again, are plentiful and deciding what you want to do can be a matter of budget, but there should also be room for personal opinion in your decision. There are many financial options when it comes to purchasing your flooring and you can usually find something works within your preferences, so start off by judging what each room requires and would suit it best. That last point is vital to making sure you are happy with the final look and feel of your home. Bedrooms might suit a carpet more than hardwood because it tends to be more comforting and warmer. Whereas a kitchen should avoid carpeting at all costs due to the potential disaster, this is a room where vinyl flooring or tiles would be best suited. The reason you should put so much consideration into the flooring you choose for each room is that long term it will prevent you having to replace or repair it on a frequent basis. As with all decorating, this should last you at least five years if not more, so ensure you are making the right decision to prevent unnecessary financial outlay in the future. Once you have the walls and floors done, you should be finalizing your rooms with furniture. Again the personality of the room is going to play a major role in your decision making – comfort, practicalities, etc – but there are other considerations to take into mind as well. One of those is what your long term plan is with the room and furniture. Some people like to regularly update their seating, bedding and dining areas to maintain a fresh household, whereas others are more inclined to go for furnishings that are going to last a lifetime. The reason this point is important for you to think about when you are making your purchase is it will be the difference in how much you spend. You shouldn’t be spending thousands of dollars on a sofa unit that you are going to replace in a few years. Decorating on a budget is not something that you should be wary of, but it is a tricky course to navigate. Find ways to save money like buying furniture with longevity and then you can redistribute your balance elsewhere. One of the more common changes people like to make to their home is expanding what they have to make extra space rather than moving home. If you need the space then this is an incredibly sensible thing to do because buying a property and moving is an expensive task that could set you back financially in a way you aren’t prepared for. However, there are some important things to consider before you do commit to the idea of an extension. You might need to leave the property for a short period of time depending on what type of extension you are going for. Construction workers can tend to prefer it if the occupants are not on site when they are doing major works, so make sure you cost this possibility before going ahead with your work. Meet lots of designers before you commit to anything. This is your property, so you need to be confident that what the finished product will look like will be up to your standards. Make sure you are insured for the building work. Number one priority for the owner of the property is to make sure that you aren’t left in a financial black hole due to any number of things that can go wrong. Be confident that the work you have had done is going to meet building regulations. A good contractor should be reliable with regards to regulations, but you shouldn’t risk it because the problem will end up at your door. The last point plays into this final idea – thoroughly research the company you are going to use for the building work. There are enough websites out there that discuss this kind of work that you shouldn’t be hiring someone who is going to take your money and run. Sometimes the home doesn’t need a complete overhaul and instead, you are more interested in making some additions. This can cover a whole range of things, and one of the most popular these days is to find ways to save yourself money through different engineering projects and prepare your property for the future. Utilities will be the go-to thing to update for both of these concerns, things such as a water tank or a generator. But before you go ahead and get them installed, you should make you speak to a specialist such as a Generac Generator Dealer to be confident you are getting the right residential tools. A water tank is not just environmentally friendly, but financially helpful for your bills. By relying on rainfall being converted into household plumbing water for things like the toilet, you will see a reduction in your outgoings allowing you to focus your finances on other parts of the house. A generator is a useful thing to have, especially for people living in areas with temperamental weather. Another addition you might want to consider adding to your home is solar panels. The reason for this isn’t to do with any climate change discussion, it is purely for practical reasons. With solar panels, especially with the current technology, you can use natural resources to power your home which will lead to a further reduction in your utility bills. There are also agreements in place that might allow you to sell energy back to the grid so you end up making a profit from powering your home. When it comes to managing your real estate on a budget, the most important thing to remember is that you own the property. That means you have at your disposal all of the decision that you want to make and don’t need to worry about others disagreeing. Now, that might be a problem if it is your personal home and you are living with family members. But if your decisions are being made based on financial security, they should be made with the security that your property is owned by you. The cost of running a home can become extortionate quite suddenly, so set yourself reminders to check comparison websites to reduce bills and other costs of operating the house. You should also set aside some money each month into savings account so that you are prepared for some of the eventuality that can arise like repairs and pests. Savings are something you should think about before you start any of the above work, make sure you can afford the plans you have and don’t put yourself in debt.